We have launched a new website!! Look at it – all shiny and new! I am pleased with it and think it has been worth the absence, don’t you agree? Although I am sure you will agree there should be a lot more pictures of me, but I have been told that I am only allowed in the dog section – pfft! You should have seen the diva strop I threw and I tell you something it worked – I will remember this for when I next need more noms – and now I have been given my own section!!! It’s me – Hello me!!!! Clearly my section is the best part of the entire thing, as not only will it have lots of pictures of me on it – prods typist to ensure she’s hurrying up with uploading pictures! 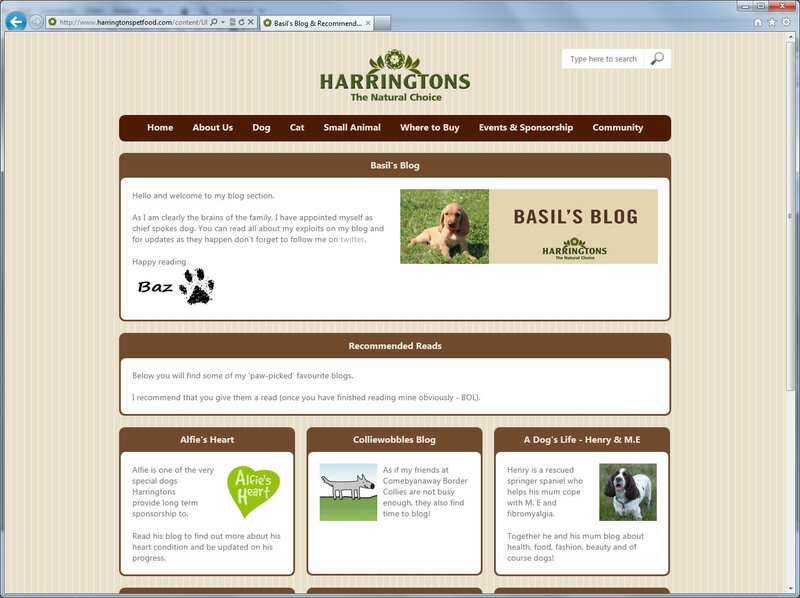 But it has a permanent link to this here blog – vital reading – and links to some – but not all – of my anipals blogs in a recommended read section! Also you can check out my YouTube channel – which has lots of videos of me! 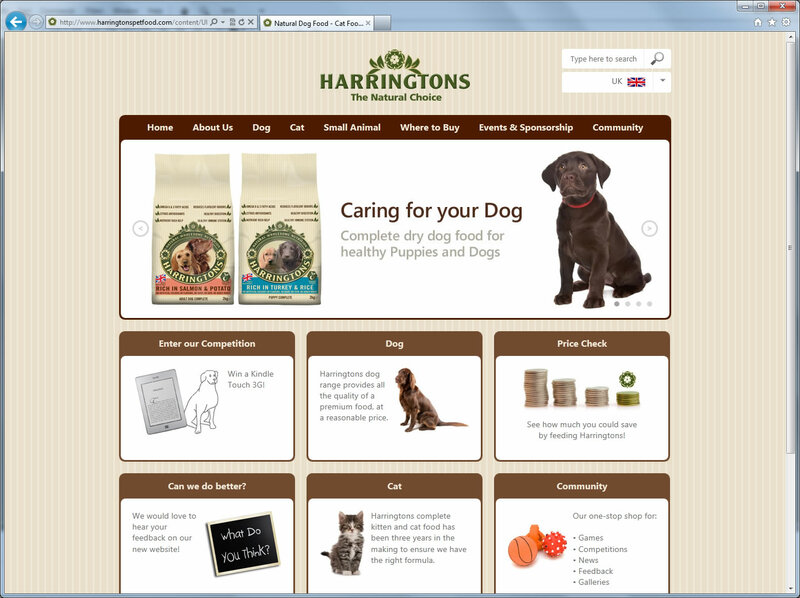 So check it out at the brand new address www.harringtonspetfood.com and let us know what you think! Obviously I know you will think “Amazing” but write in and tell us – it keeps the two legs in the office out of trouble – or take part in my fun poll! And I am very excited to be able to announce my dazzling return to twitter land as I have missed my anipals soooooooooooo much!